Locomotive 4742 built 1942 by Electro-Motive Division of General Motors (La Grange, IL) for Chicago & Eastern Illinois Railroad. Model SW-1 197,000lbs 600hp DC electric. 567A 2 cycle diesel engine. Built to replace steam locomotives. Dining Cars built by Standard Steel Car Company of Chicago for Chicago, Rock Island & Pacific 1927. 98,000 lbs converted to dining cars. Power car built for Columbus and Greenville Railway 1928. Water supply and Power Generator. Excursion Cars also built by Standard Steel Car Company 1927 for Chicago, Rock Island & Pacific Railroad. 81′ 6″ length 100 seats with steam heat. Eureka Springs Railway 1883 Eureka Springs to Seligman, Missouri 18 miles. 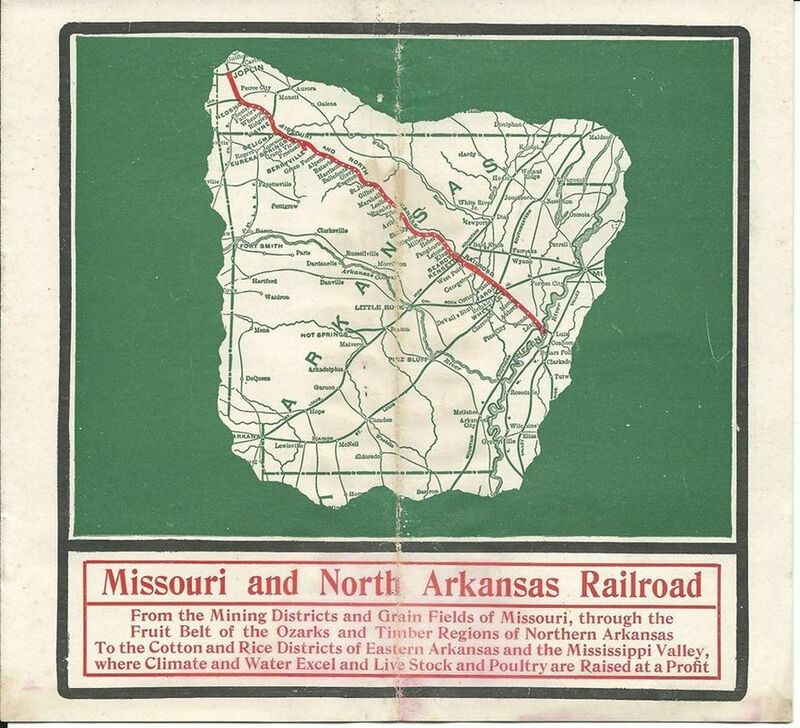 Later Missouri & North Arkansas Railway, Seligman, Missouri to Helena, Arkansas. Finally Arkansas & Ozarks Railway abandoned early 1960’s. 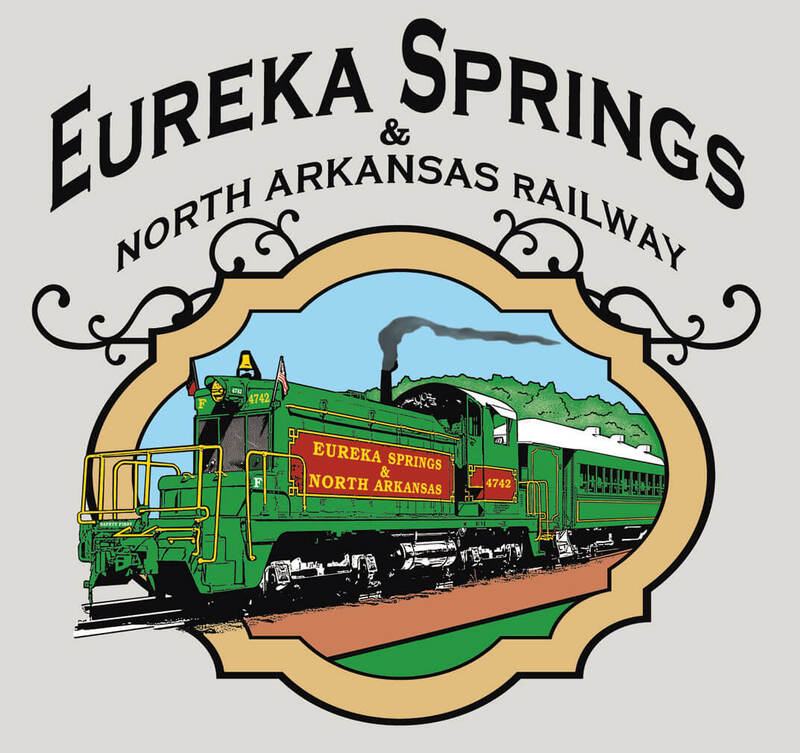 ES&NA 1981 rebuilt track and trestles Eureka Springs to Junction (wye). Depot was built 1913.